Back in 2012, I did my 70-day backpacking trip in Europe, covering nine countries and 25 cities. I didn’t go to Spain; I figured I could go back some other time and spend a month or more in this Iberian country. It wasn’t until four years later, though, when I managed to return, thanks to an invitation by the Spanish Tourism Board which brought nine media people and three bloggers, including me, all around Castilla y Leon. From Canada and the Philippines (me), to Japan, China, South Korea, India, France, Portugal, and the United Kingdom, I think it’s safe to say we all loved Castilla y Leon — at least I did! 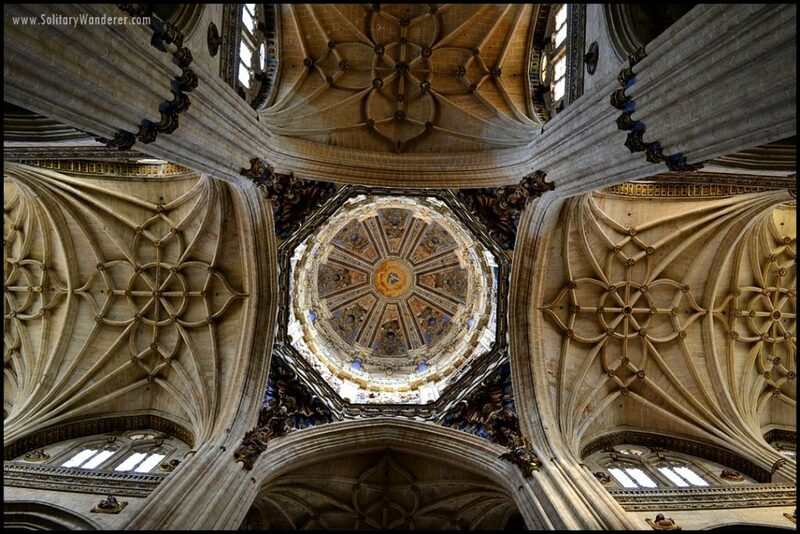 It pays to look up in the Cathedral of Salamanca. Indeed, what’s not to like? There are medieval castles, historic cities, pretty villages, Gothic churches, good wine, and great food. There are many places to visit in Spain, and Castilla y Leon is certainly one of them! Five provinces in five days is a hectic pace, but we did get to see some of the best things the region has to offer. Known as the Heart of Spain, Castilla y Leon is the largest region in the country, comprising nine provinces: Avila, Burgos, Leon, Palencia, Salamanca, Segovia, Soria, Valladolid, and Zamora. We first visited the city of Salamanca in the province of the same name, going straight there from the airport in Madrid. 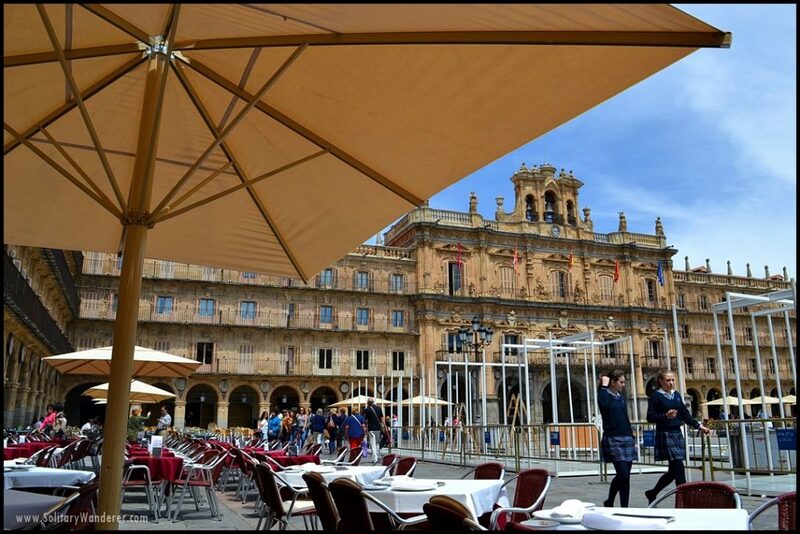 Called the Golden City for the color of its sandstone buildings, Salamanca is best known for Spain’s oldest university, its old center which is a UNESCO World Heritage Site, and its Iberian ham. One of the most beautiful squares in Europe. A view of the plaza’s clock tower. 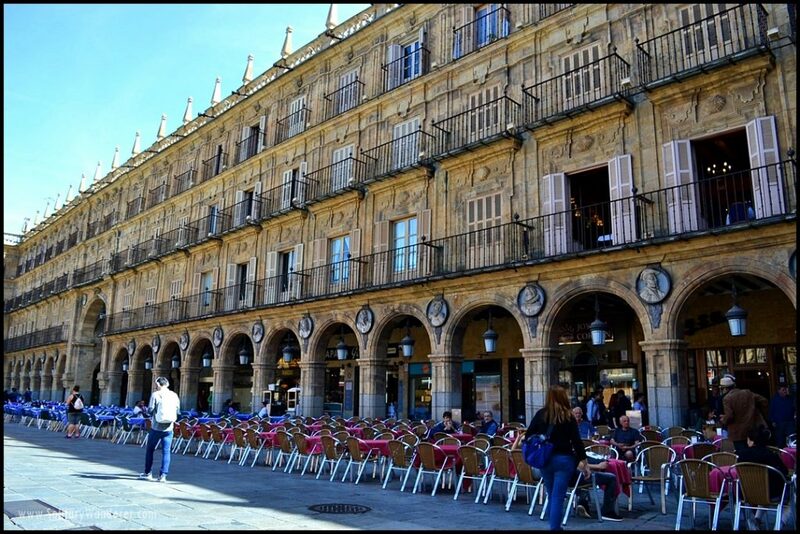 Salamanca’s plaza mayor, the main square, is also one of Europe’s most beautiful. Built in 1729, it is the perfect place to be when the sun goes down. There are bars and restaurants, various tourist shops, and many other commercial establishments. We ate lunch at plaza mayor in Restaurante Don Mauro, fighting jet lag with the region’s famous Ribera de Duero red wine and Jamón ibérico, the best ham in the world. 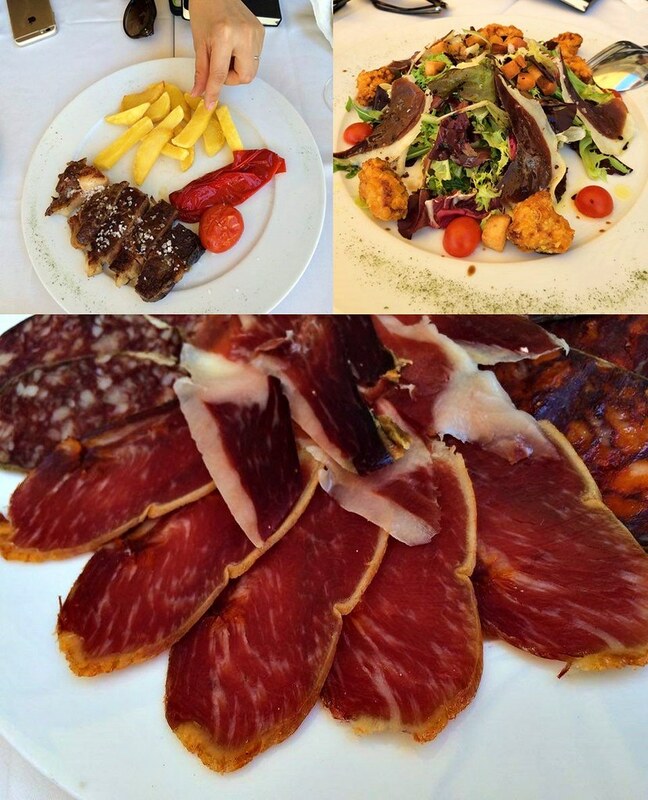 From top: Salamanca’s signature morucha beef, chicken salad, and a plateful of lomo (bottom) topped by Jamon Iberica. That night, I went to bed in a 16th-century, convent-turned-hotel called Hotel Hospes Palacio de San Esteban, and my last thought was that, yes, Salamanca is definitely the Spain that I’d always wanted to see. Known as the city with the most Romanesque churches in Europe, Zamora lies on top of a hill with a view of the River Duero which is said to divide the province in two: one side is the Land of Bread while the other is the Land of Wine. 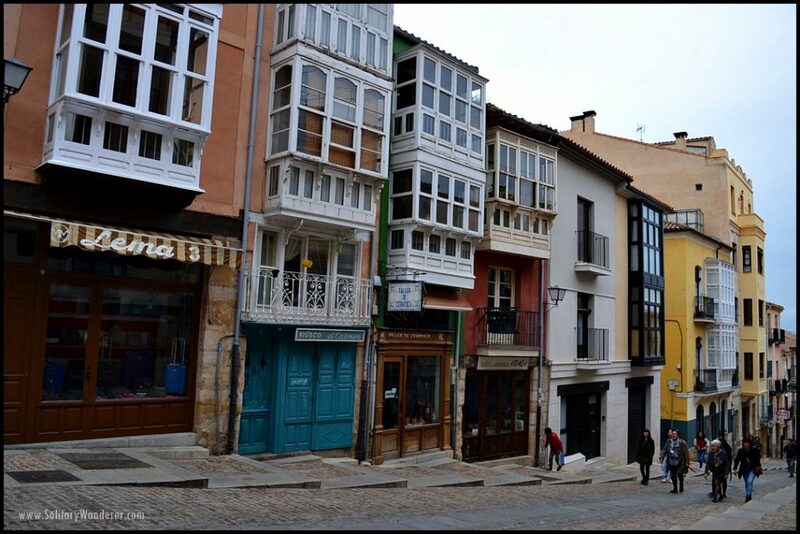 A street in Zamora (look at the balconies!). We went to some churches — the 12th-century Cathedral, of course, was included, as well as the beautiful Santa Maria dela Nueva, and the Romanesque church of the Templars, Santa Maria Magdalena. But the best was our visit to Toro, a charming little town with a population of less than 10,000. Despite its size, it’s historically important to royalty. King Ferdinand III was crowned here, and the nobility also has palaces in the village. Beautiful Toro with a view of the River Duero. Toro is also known for its wine. It is said that the wines Columbus had brought with him to the New World were from Toro. We visited one of the wineries in the area, Monte la Reina, which exports 90% of its 2 million bottles of wine a year. Visit Toro before November this year to catch the annual art exhibition of the Las Edades del Hombre Foundation. 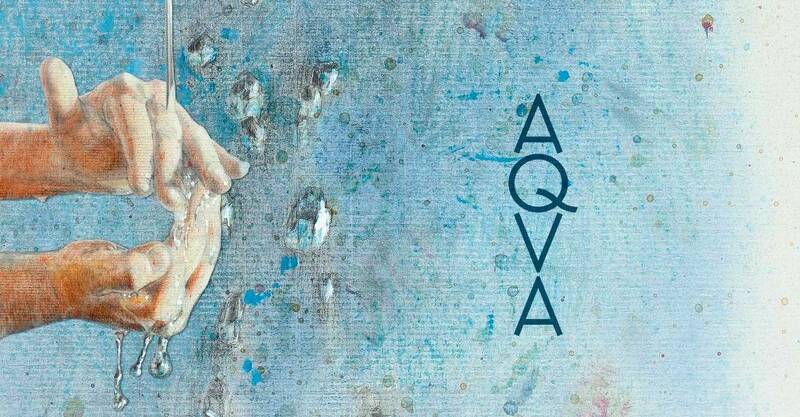 Called AQVA, the collection comprises five chapters, all relating to water, with works of art ranging from paintings and drawings, to sculptures, among others. All works of art are borrowed or commissioned from Spanish artists except for a couple from a museum in Lisbon. 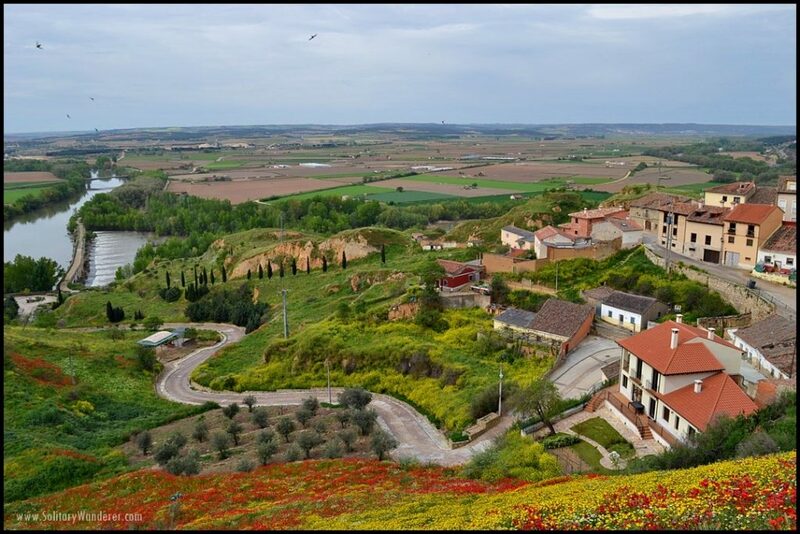 From Zamora, we went to Valladolid, which means “valley of olives.” It has a rich history; it was the capital of Spain until 1561 and it was considered the residence of monarchs. 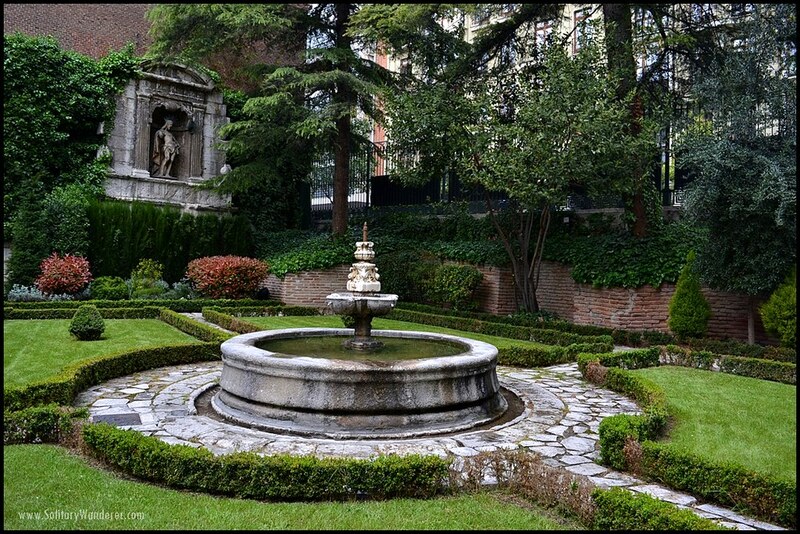 Queen Isabella the Catholic and King Ferdinand II of Aragon got married here, and Columbus also died here in 1506. Courtyard of the Cervantes Museum. Among Valladolid’s many august personages was Miguel de Cervantes, author of Don Quixote de La Mancha. Although Cervantes only stayed a couple of years in Valladolid, the city considers him a true son, with his statue in the university square and the house he lived in turned into a museum. Valladolid is also memorable for me because of three activities. 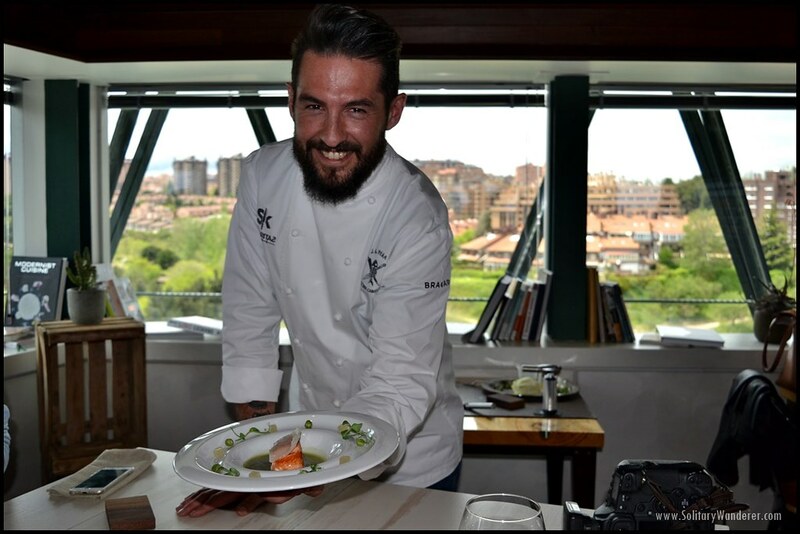 First, we all participated in a cooking demo with Chef Javier Peña of the Sibaritas Klub Restaurant, located at the top floor of the Valladolid Science Museum. Chef Javier was in Season 2 of the Spanish TV show Top Chef. Chef Javier Garcia Peña presenting the main course. Although he was eventually eliminated on week 12, he did win the “burger challenge” and had his creation commercialized by McDonald’s in Spain for a while. Chef Javier also worked for a year in the Philippines, in Club Punta Fuego in Batangas. Small world, eh? That night, we went to the theater for the 25th anniversary concert of the Simphonic Orchestra of Castilla y León. I didn’t expect to enjoy it so much, especially the performance of Norwegian cellist Truls Mørk who performed Dvorak’s Cello Concerto in B minor. This is called “Obama in the White House,” made of egg and mushroom. The 2-hour concert prepared us well for our final destination of the day: the Los Zagales Restaurant where we had tapas galore. Prior to coming to Spain, I thought tapas would only be like the pan y tomate (bread and tomato) that I had in Siargao, prepared by a Catalan friend. I didn’t expect tapas to be works of art! When in Valladolid, stay at Hotel Gareus, a very well-situated hotel in the center of the city. It’s highly modern and very convenient for walking around the Valladolid. The courtyard of the monastery-turned-hotel. If you have time, though, go out of the city to the town of San Bernardo, and stay the night at the Castilla Termal Monastery of Valbuena. Located in the heart of Ribera del Duero, it is easily one of the most beautiful hotels I’ve stayed at in Europe. 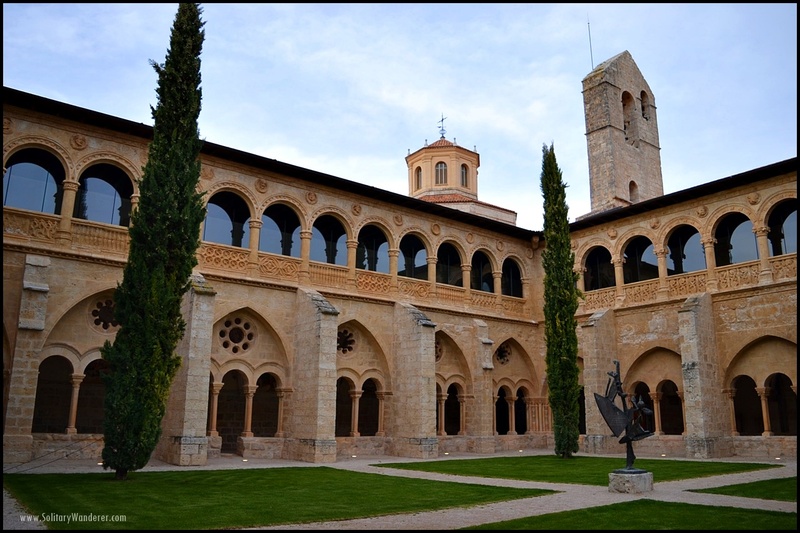 The 12th-century Monastery of Santa María de Valbuena is best known for its medicinal thermal pools. One tip: if you’re going there, reserve a spot in the pool way in advance. When we arrived there, the pools were already fully booked. 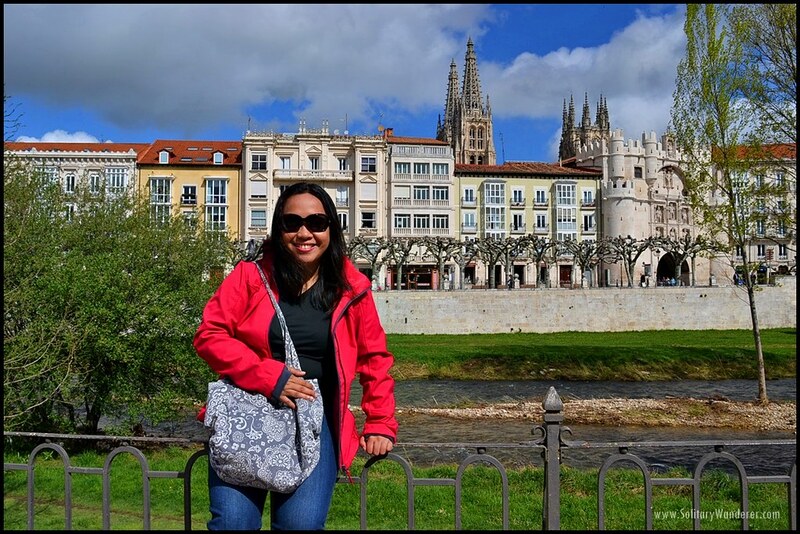 I thought I’ve had my fill of churches, but when we arrived in Burgos, I realized I wasn’t. I couldn’t stop taking pictures! From the Arch of Santa Maria, the main gate in the wall that surrounded the city, to Spain’s biggest (and first) Gothic cathedral, Burgos is easily one of the most beautiful cities in the region. The main gate into the old city, the Santa Maria Arch. It was one of the richest, too, and both are partly due to its location. 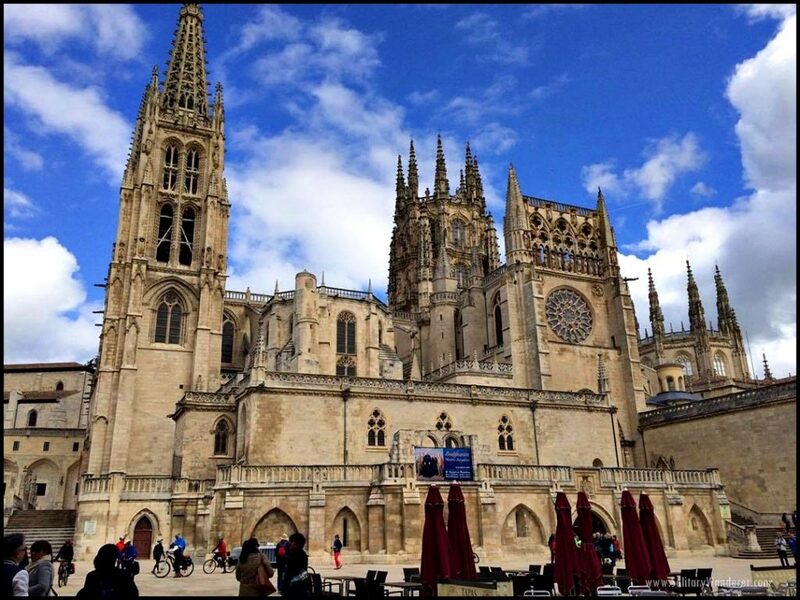 Since the Middle Ages, when The Way of St. James (aka Camino de Santiago) became one of the most important Christian pilgrimages, Burgos enjoyed the financial and cultural prosperity that tourists brought on their way to Santiago. The Burgos Cathedral is an excellent example of a combination of multiple influences; the height (made possible by the ripped vaults and flying buttresses) and the brightness inside the church was due to the French, while the Germans influenced the spires. Inside the church, you will also find masterpieces by Flemish and Italian artists. Beautiful Gothic church in Burgos. With a view of Burgos Cathedral. Burgos is best known not only for Camino, but also for El Cid, whose remains were entombed inside the cathedral. 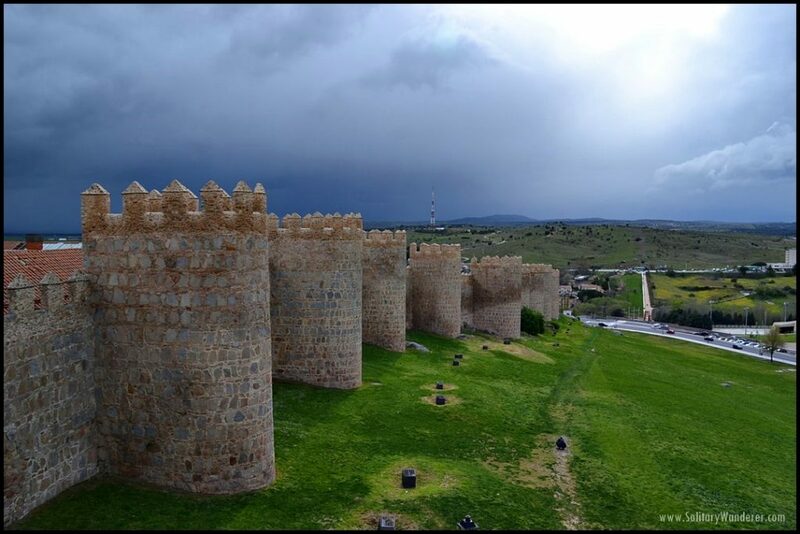 The most impressive sight in Avila is its 11th century walls enclosing the old center. Over 2 kilometers in length, the well-preserved Romanesque walls is another UNESCO World Heritage site, and can be accessed in part by tourists. Catholics would also appreciate Avila, being the home of Santa Teresa who was one of the reformers of the Carmelite Order and who had established several monasteries in her time. The 11th-century walls of Avila. The walled city of Avila. This City of Knights is situated 1,000 meters above sea level, also one of the coldest cities in Spain. It rained when we were there, but the weather improved enough for us to enjoy our walk on the city walls. 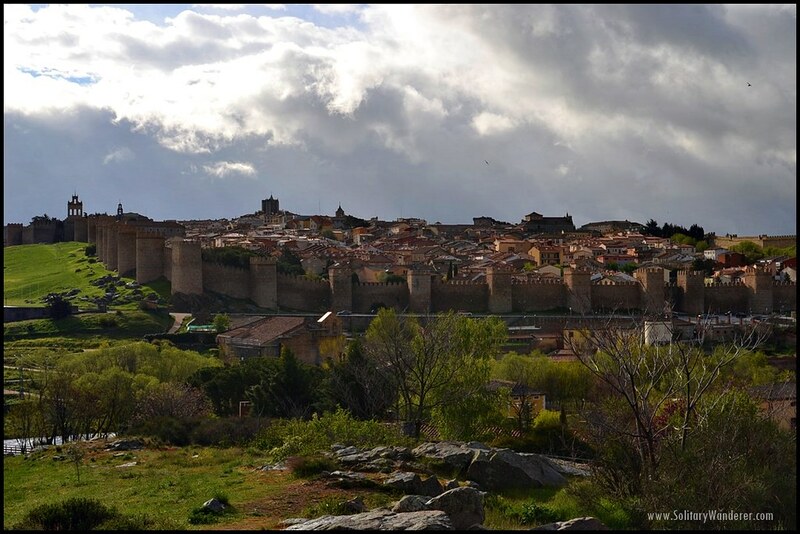 If you visit Avila, make sure to stay in the numerous palaces inside the walls that had been converted into hotels. I really enjoyed our stay at Parador de Turismo de Avila, a 16th-century stone palace with modern amenities and facilities. In the five days that we’ve been there, we barely touched all that Castilla y Leon has to offer. Its 300 or so medieval castles, just as many (or even more) churches and cathedrals, and numerous pretty villages and beautiful cities, all beg for it to be explored slowly and thoroughly. One thing is for sure. The next time I go back to Europe, I will definitely spend time in Castilla y Leon. Disclosure: Although I was a guest of the Spanish Tourism Board, all opinions in this post are mine alone. Thank you for inviting me to get to know CYL firsthand! My thanks as well to the Castilla y Leon representatives for their hospitality, especially Alberto Bosque and guide Mercedes Villanueva. What an amazing trip! I’ve only been to the Barcelona region but there’s so much more of Spain that I really want to explore. Your photos and guide are a good place for me to start with that research. Great shots! Beautiful!! 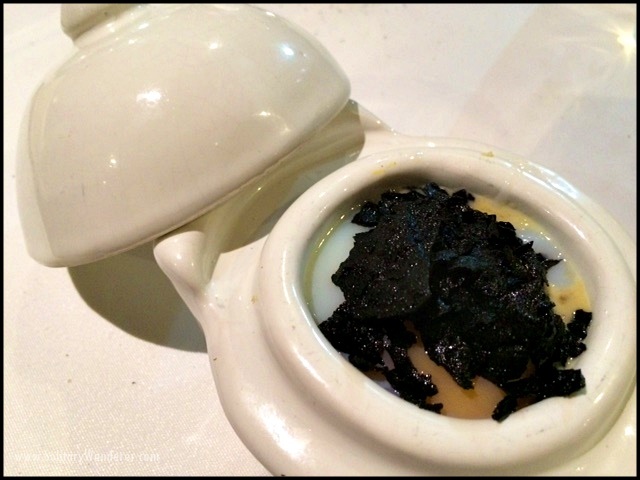 I’d love to visit Toro – I hadn’t known of it before. What an incredible trip – thanks for the travel inspiration! Wow! You’re so lucky to have gotten a chance to visit Spain! I’m also amazed with your 70-day backpacking trip in Europe. Would love to travel more myself! That looks like a lovely trip! I wish I can go to Spain too. I’d love to visit Castilla y Leon – it looks like such a lovely region, full of history and amazing architecture! Wine, cooking, castles! Amazing. You seem to have had an excellent time. Wonderful photographs too. this is one of the most beautiful places I’ve seen this week. Lovely pictures. Makes me want to change my plans cause I’m doing my Eurotour and I have other places to go to. 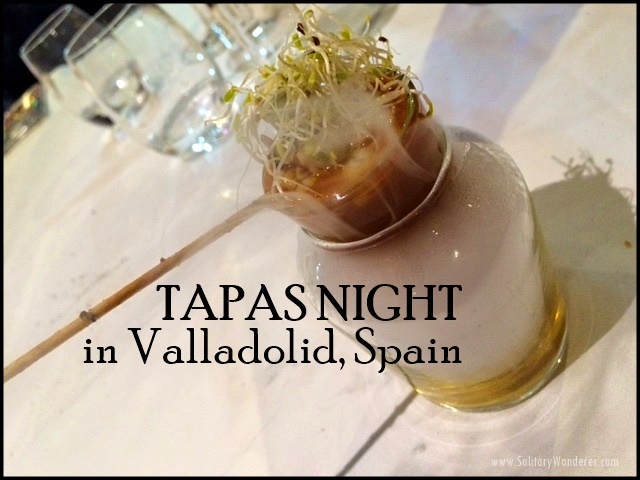 I love the eclectic mix of history, culture and delicious food or works of art that can be found in Valladolid, I would love to sample their tapas! Looks like a beautiful location! I would love to explore all the castles! I love to drink wine! Tapas sound fun too! Where do I sign up?? haha! Many of the buildings are so very grand! The food looks wonderful. I love the photo of the chef – it looks like it should be in a magazine. What an incredible experience. The cooking demo must have been great! Seeing all of the amazing architecture would be fun too. Now this is the side of Spain I like reading about – and visiting! The stereotypical view of Spain (at least in the UK) of English pubs, English tourists and booze and – well you know, I can do without. Great article! Yeah, this is the Spain I love too. Castles, old churches, wine, and food…heaven! Great post! I love how you detailed Castilla y Leon from top to bottom! Nice photos too. I appreciated the lovely architecture of the place. More power to you! Thanks. The whole province is really beautiful. We only touched a bit of it. Looking forward to explore it more next time. Such a nice place. The photos of the castle walls are awesome. I would want to go there this year! Oh definitely visit. CYL is so beautiful! 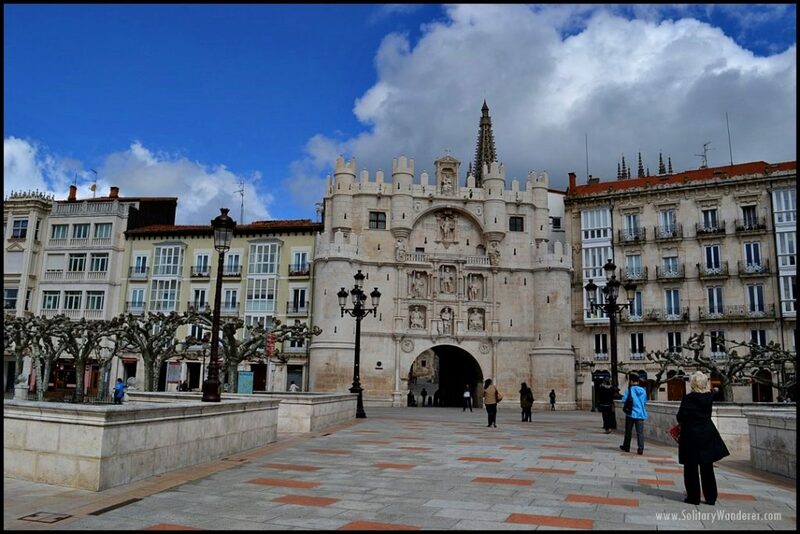 I love Castilla y Leon – studied abroad in Valladolid in 2015 (Los Zagales is such a treat!!) and, to me, it is the most Spanish part of the country! Even flamboyant Andalusia seems like such a farce. I haven’t been to Andalusia yet. Hope to be able to spend more time in Spain. There’s so much to see and do there. SPAIN!!! <3 It has been my dream destination and I hope I can finally go there next year. Thanks for posting this!! I love everything about this post!!! I will write more! Spain had been my dream destination, too, and I hope to be back there soon. I’m interested! A bit busy, but I’ll find the time to answer your questions. Thanks!